This is a breaking story with updates to follow. Check back later to learn about any new developments. 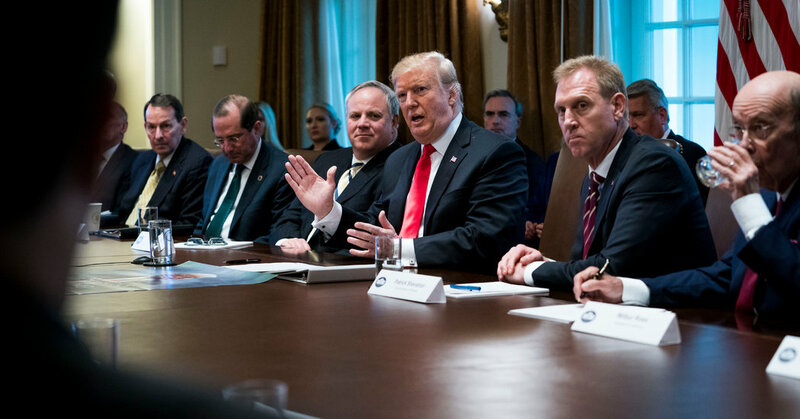 U.S. President Donald J Trump spoke LIVE from The White House Tuesday and he claimed his emotional status regarding the bipartisan federal spending suggestion agreed this week was not the best. According to Mitch McConell, Trump is definitely going to declare a national emergency. The decision that was made rarely happens. According to the majority leader, Trump is going to sign the bipartisan deal but ALSO declare a National Emergency to complete the funding for the wall. This is a breaking story with updates to follow. Check back later to learn about any new developments and/or sign up for the newsletter. “It’s not doing the trick” said Trump after a Cabinet meeting in Washington. He continues to be very stubborn with this deal even against his conservative colleagues. Collectively, Republican lawmakers are urging trump to sign the deal which would immediately dispense with the need for another government shutdown. Specifically, he said he was unsatisfied with the number 1,375,000,000. This is the proposed amount of money that democrats and republicans settled upon. Trump wants $5.7 billion dollars, but he’s not officially taken the democrats settlement off the table. With that being said, he wants to add more things to make the deal more appealing to both Democrats and Republicans. He said he wants to “add things”. This seems standard practice but he is specifically saying he does not want to subtract things. “It’s sad” the President said after reflecting on the long progress both democrats and republicans have made to achieve a totally opposite outcome. Trump outlined more vague plans to negotiate for the border wall. He said he is taking measures to prevent another government shutdown on February 15. He said, if there is another shutdown, it will be the democrats fault. One of the more pressing issues was the National Emergency Declaration; rather the lack of a National Emergency Declaration. RELATED: What is a National Emergency? Presidential Pardoning?